There’s no getting away from the fact that VOIP (Voice Over IP) has revolutionised the way that we make and receive calls. Using this service, calls can now be made anywhere in the world to other VOIP users for free. VOIP set-up is easy and at White IT, we can have you up and running in no time at all. 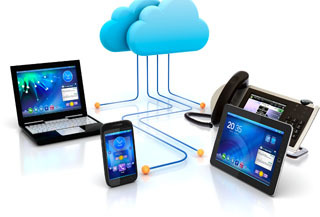 At White IT we provide total VOIP solutions for homeowners and businesses alike. From the installation of VOIP gateways through to MYSQL integration, configuration, and final registration, we can help you set up single lines, or in the case of businesses, multiple lines. We can also customise your bandwidth depending upon your VOIP needs. In fact whatever your VOIP requirements, our team of engineers have many years of experience behind them coupled with an excellent working knowledge of all VOIP systems, to get you up and running fast. You may on occasions experience VOIP problems which can affect the way you run your business, or as a residential user, prevent you from contacting friends and family. This being the case we provide a trouble shooting service that can help. One call to us and you’ll be put through to one of our experienced technicians who can help you through your VOIP problems. In most cases, issues can be quickly be resolved over a land line but when they can’t, we’ll come to your premises and fix it.